One of the benefits of being an animator in today’s world is the availability of great material on character animation. I’ve compiled a list of the ten best books for character animators to study. Click on the pictures to buy the book at Amazon.ca (Canada). This book is the bible of animation written by the legendary Disney animators Frank Thomas and Ollie Johnston. These guys helped define charater animation as an artform. Richard Williams masterful volume on the nuts and bolts of animation is one of the most immediately practical helps for character animators. Written by Disney’s lead animator Eric Golberg. This book is the classic book written by Preston Blair. Walt Stanchfield taught weekly classes in gesture drawing geared for character animators, and he also produced type written hand outs filled with sketches that were copied and smuggled out of the studio like contraband and circulated among professionals all over the world. Now they are available in 2 volumes, and are worth every cent. These books will become trusted friends that you will read over and over again. Who are the “nine old men”? They are Walt Disney’s team of lead animators who elevated charater animation to the standard that we know it today. A classic work on character animation that provided the kind of book that Richard Williams’ Animator’s Survival Kit now fills. This book was a workhorse and still pulls it’s weight in the midst of newer works. It’s hard to measure the importance Bridgman’s book played in animation. While not a book on animation, Bridgman provided a structural and mechanical perspective of drawing the human figure that is unsurpassed in it’s value for the 2D character animator. In 3D animation this work should be required reading for modelers, riggers and animators who have to test and tweak rigged models to get life-like structure, weighting and deformations. Mattesi brings a unique perspective to drawing for animation that considers movement and energy in posing the human body. A character animator is an actor. We are not just moving things around in space, though unfortunately for many of us, that’s all we can seem to do. If you are animating a character you are an actor, and as such, you should be reading books on acting, especially if you don’t draw, keep a sketchbook, and study gestures. There are many acting books and methods of acting, and you should read across the field. Here are some to start with. First, some definitions. If you’ve been to art school you should know the difference between formal and informal composition. Formal composition is symmetrical while informal is, you guessed it, asymmetrical. What is the most striking thing about the image below? It’ has a lot going for it: very beautiful saturated colors, nice textures, vibrant light and color mixtures. But what stands out most is that the horizon line is dead center. The symmetry of this equal division draws attention to itself. We could call this a formal horizon line. As a composition it confuses the viewer because we don’t know what the picture is about. Is it about the prairie? Is it about the sky? Is it about the formal composition? These images below don’t leave the viewer with any of these 3 questions. We immediately know one is about the sky and the other is about the prairie. And notice, that even though we would call these informal horizon lines, we don’t ask if the composition is the point. Why? Because informality is our natural default. We expect it. 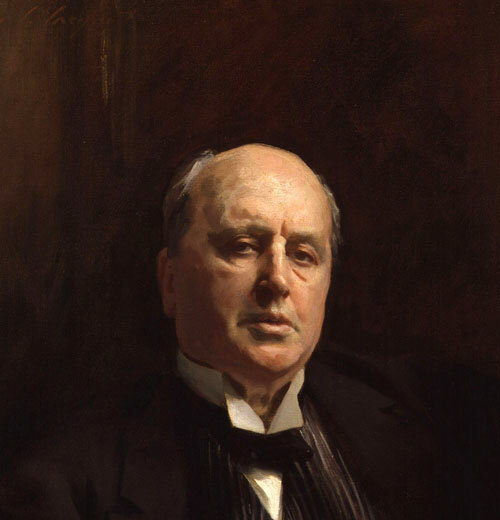 But formality is intentional, and we take notice when something is intentional. 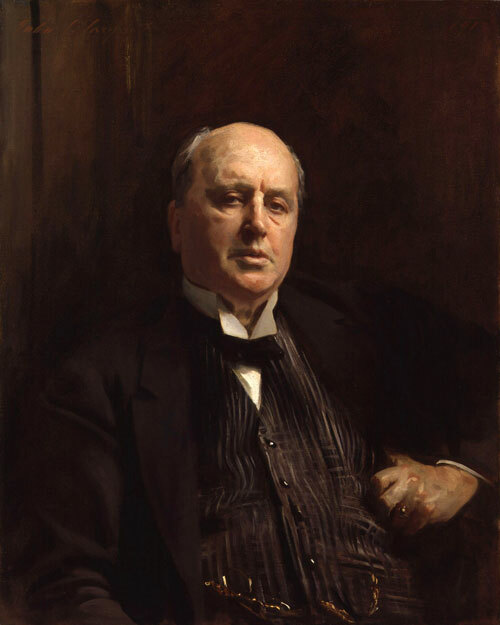 Take this famous portrait of Henry James by John Singer Sargent. The composition is nicely balanced, but informal. Let’s make it a formal composition. Here his head is dead center, like a dot in the center of a square. It looks like a portrait, but the composition is so intentionally centered that draws attention to itself and asks us to think about it. Same portrait, different feeling. Now it feels like a bullseye. What’s the point of all this? Here’s the point: Anything involving formal composition draws attention to itself. 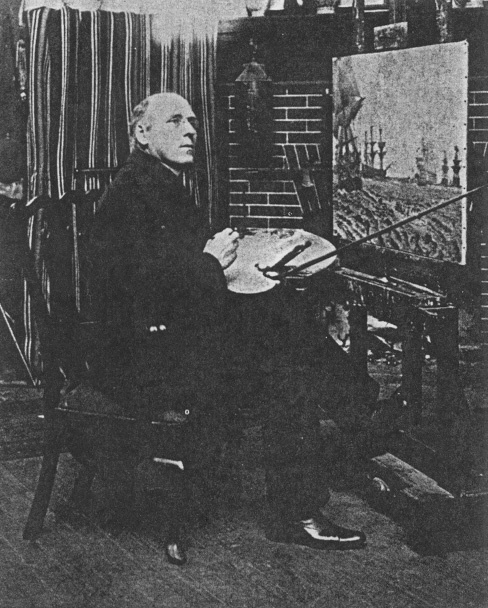 The viewer becomes conscious of these formal elements of symmetry, alignment and parallel notes — and these things distract from the purpose of the composition if it was not intended to be formal. Now, let’s apply this to character facial animation as formal eye position and informal eye position. 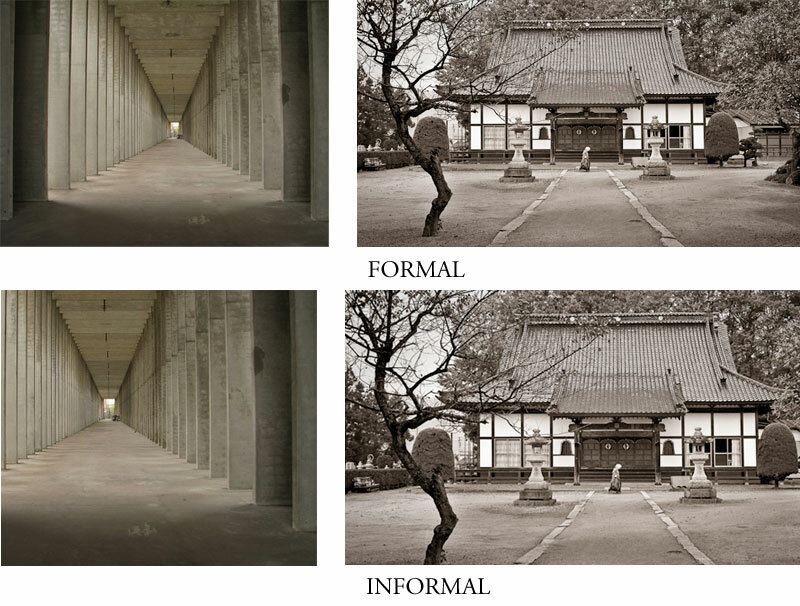 Do the following images contain formal or informal eye direction? 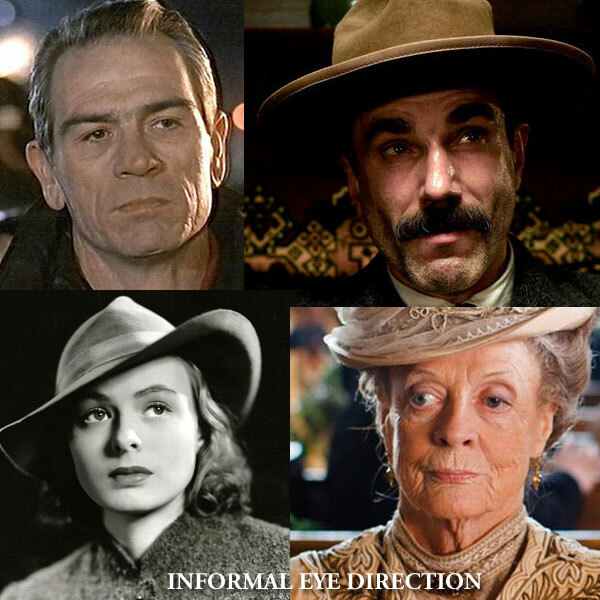 These are examples of formal eye direction. 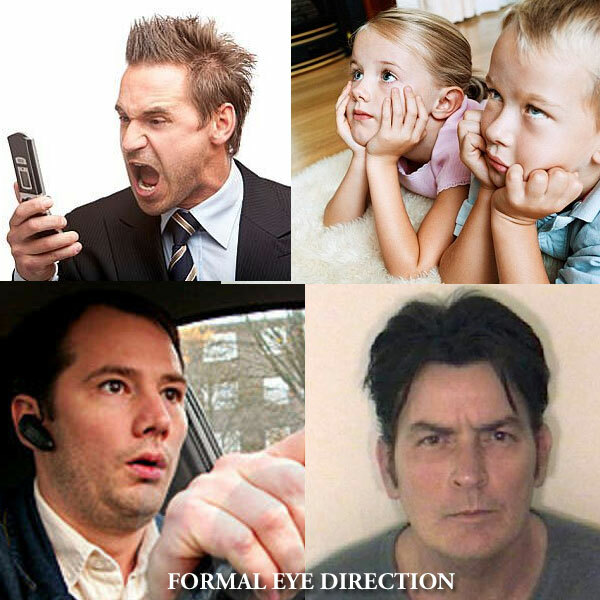 Intense action toward something, watching TV, driving, or a mug shot are all examples of formal eye direction. 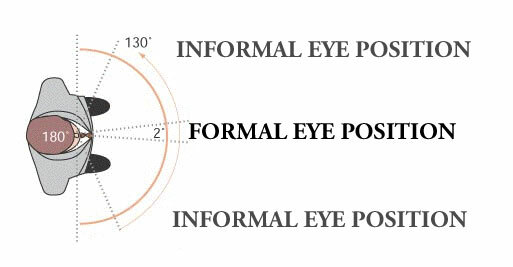 What makes them formal is that the orientation of the eye is exactly the orientation of the head, either vertically, horizontally, or both. When both the eye and the head are in the exact same orientation it calls attention to itself just as a formal composition would. Informal eye direction is relaxed and feels more natural, and much more interesting. Why do these seem more natural? Because our eyes are never at rest. They are constantly moving, drinking in large swaths of visual information. The eye is as energetic as a humming bird. If our heads moved with our every eye movement we would look like we had some sort of nervous system disorder. What this means is that more often than not our eyes will not be at formal eye direction. 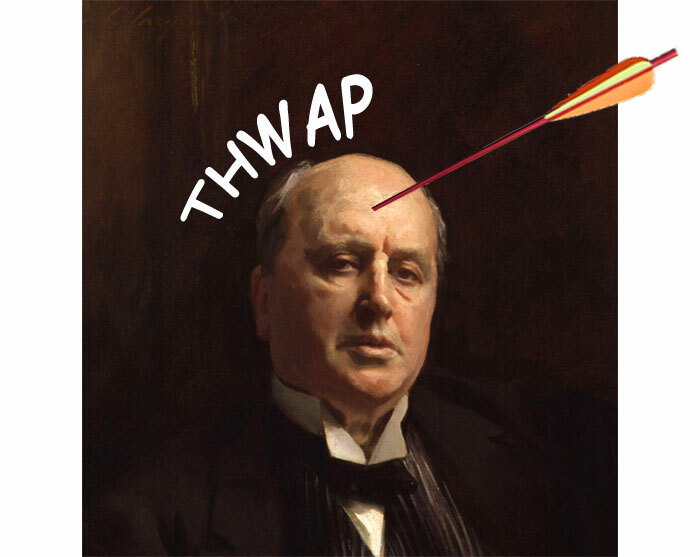 Formal eye direction is intentional, and rarely accidental. Within the 130 degrees of our comfortable eye range the formal range is less than 10 percent of that. The take-away for animators is that we must use formal eye direction for a reason. It must be intentional. Don’t let your animated characters be in the formal eye range just out of negligence. It should only be there because we have chosen to put it there. Perhaps in a future rig we could script in a red warning flag to appear when an eye position is keyframed in the formal position. Be purposeful in your formal eye directions, not accidental. One of my favorite cartoons as a kid was The Flintstones, which is one of the finest examples of great limited animation. Everyone remembers the endlessly repeating backgrounds for the dialog shots in Fred’s car. Another moment I remember from childhood was a genius example of character animation. Fred is walking away from an argument with Wilma or Barney and is mumbling under his breath while having to do something he didn’t want to do. Even though he’s muttering words his mouth isn’t moving. In fact, nothing in the animation reflects that he is mumbling at all. It’s a walk cycle of 8 to 10 drawings that took the animator less than an hour to make. Yet it works brilliantly. How did they come up with that? Had they given that scene to a Disney animator it would have taken a week to animate and every phrase of the mumbling would have had some corresponding head or arm movement, and at the end of the day would probably not have been as strong as Fred’s 8 to 10 walk cycle. One of my first bits of animation was for a commercial and I spent two days roughing out my scene. The next day animator Mike Kazaleh dropped off some work and took a look at my scene. He had taken me under his wing to teach me how to animate. He flipped through my stack of drawings and started pulling drawings out tossing them on the floor. “Too many drawings! You don’t need these.” He renumbered what few drawings were left, scribbled down some charts, and handed it back to me. I made a pencil test of what he did and my scene worked so much better. The lesson, less is more. Get a few good strong poses that carry the emotion and action and let them do their job. Don’t be afraid of limitations, and don’t be afraid of being understated in your animation. Sometimes the limitations keep us from overworking something that is better served by a simple idea. Just compare the original Star Wars with the re-released version embellished with new visual effects. Did the original film suffer by not having these fancy new shots, or did the new version suffer under their inclusion? I leave that for you to decide. Animators are called upon to imitate and mimick one another. 2D animators have to conform to the same drawing styles that have been set by the designers and leads. It’s a requirement. Same is true for our acting choices. When you have 20 animators animating the same character there has to be consistency. A significant part of the problem is that animators are “mono-lingual” in their animation study. We only study animation. And because there is so little good animation in this medium’s repertoire we’re all studying the same material, and we all begin to look like one another. What an irony. The nine old men who took the animated art form to such a high level never had a repertoire of animation to study. They studied life. They studied good acting. Their work is fresh because they had not filled their bellies with all the animation cliche’s and performances of other animators. When you reject that first cliched instinct you will already begin to set yourself apart as a better animator. Cliched acting is nauseating no matter what medium it’s done in, be it TV series, movies, stage or animation. You might be a skilled animator, but if your acting is cliche you will be forgotten. Cliched acting is expected. It’s common, and it’s cookie cutter. Cliched acting is not character driven. Character driven animation is tailor made. It’s unique to the character. No two characters will react to the same thing the same way. But in animation, where stories tend to be cliche to begin with, we have the greatest temptation to be cliched actors. On some projects cliched acting is not only acceptable, it is expected. This contributes to the “juvenilization” of the animation medium. By rejecting that first acting instinct you are forcing yourself to get into character and think in acting terms. And if you have a story and a character that is not so cliched and there is room to flex some acting muscle, then take advantage of it. Even though you may have a footage quota, you still have to create a credible performance, so spend a few minutes thinking different approaches. A little thought and preparation beforehand will go a long way. One of the values on our projects is that we want character driven animation that is not cliched. We want to have those moments where our performances transcend the obvious knee-jerk ideas and bring us to the unexpected and surprising. Get into the habit of rejecting your first ideas if they 1.) have been done before, and 2.) 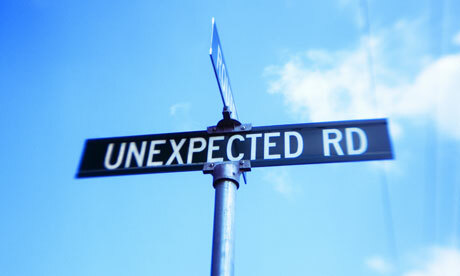 you have not thought about more than one possibility of acting decisions. Now that we’ve discussed tidal volume (the low volume of air in the lungs required to support most non-stressful activities) and minute volume (the volume of air exhaled each minute) I would like for us to consider to human body as a musical instrument that makes beautiful sounds that we call singing. Singers must fill their lungs with enough air to produce the force and sustain the length of a musical phrase before they reach the next strategic place where they can refill their spent lungs. Their lungs must fill way beyond tidal, or conversational, volume and then expel the air through a sustained and controlled minute volume required by the song. The musical sounds of the human instrument are created during the exhalation, which is no different than a trombone or saxophone. Air passes through tubes that create and modify sound which is shaped by the instrument. And we know that the those shaping mechanisms area the mouth cavity, the lips, teeth and tongue. Lip syncing efforts must now become more focused on the mouth as a whole and it’s coordination with the character’s breathing with the lungs. The amount of air expressed through the human instrument will have a great deal of variety, even before it reaches the tongue or lips, given the intensity and type of song, whether the notes are in their vocal range, higher or lower. Singers will move their “voice” around. They may place their resonance in their chest cavity, their throat, or their head cavity. Each produces different qualities to the sound. And each will require variation on how that sound is shaped by the mouth cavity. So, by the time the sound gets to the mouth cavity for it’s final shape, it has already been given some larger shape by the body cavity where it has resonated, and each one, and the mouth shapes will have different colors depending upon how that particular singer shapes the different registers. Now, I realize this is far more technical than we need to be as animators. You won’t be animating “head voice” or “chest voice.” But we should be aware of it because as we watch singers we will begin to see the difference. We have differences in dialog. Happy character use different mouth shapes than angry characters. We treat screaming different than whispering. The point that must be stressed is that singing is not just another type of “emotion.” The singing voice has just as much mouth shape color as dialog. It is expressive, and can carry emotion. So, as you animate your characters singing, think of them as a human instrument cycling huge amounts of air, shaping the resonating air to create words and emotions. Think about their breathing, when to they refill their lungs, and how much air will they draw in, and how quickly do they have to draw it in? Think about how how differently you would shape the lips between a high note and a low note. Consider the color of the performance and look for a few simple ways to get that color into the human instrument that you are animating. Animators and artists spend significant amounts of time studying physiology, human emotions, body language and the like. We are interested in the mechanics of the human as a machine and emotive force. So when we discuss pulmonary subjects like tidal volume and minute volume we should take note of what they are and how they should influence our animation decisions. Tidal volume is the measurement of the amount of air that fills the lung in normal breathing. The average tidal volume of air in an average lung is 0.5 liters of air. This is enough air to service our most basic non-strenuous functions of walking, working, eating, conversing, etc. Minute volume is the measurement of the amount of air inhaled or exhaled per minute. As animators we don’t need to know anything about these other than that they exist. They are measurements of our breathing. I would like to use these measurements to help us think about the difference between speaking and singing, dialog and song. The tidal volume used in simple relaxed dialog will only require half a liter of air. If a vocalist fills their lungs close to capacity before singing a line of music they will fill their lungs with 4 to 6 liters of air. That’s 8 to 12 times the capacity required for simple dialog. What this means for lip syncing dialog versus lip syncing song is dramatic. We have to think of our “song-syncing” as controlled movements of air. The light airflow in relaxed dialog has one effect on mouth and lip shapes. Heavy and intense airflow will have a different effect on mouth and lip shapes. We will consider some of these later. But for now let’s just consider the difference in breath and airflow. This is conversational speech – less than 1 liter of air — close to tidal volume. 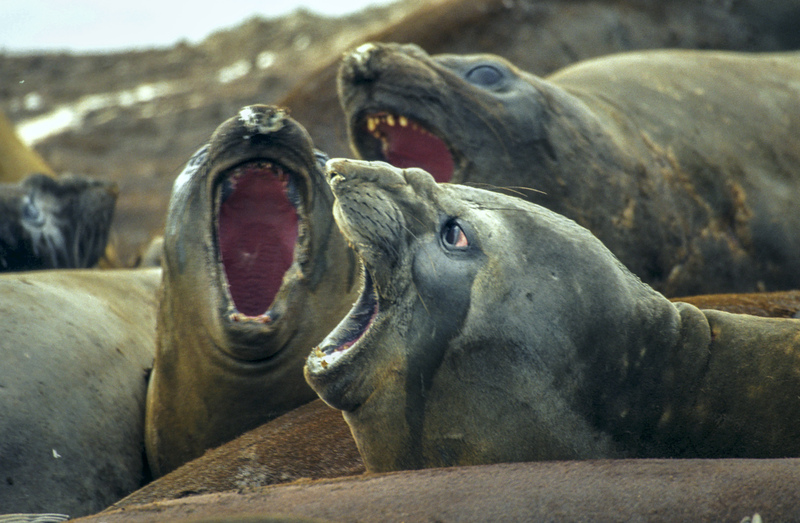 This is intense singing – 4 to 6 liters of air – far beyond tidal volume. And this is pretending to sing. We can’t hear her, but we know she only requires tidal volume in her lungs– about 0.5 liters of air, and her minute volume is close to zero. She’s as silent as the ribbon mic in front of her. When animating your characters, we don’t want Milli Vanilli lip sync, similar to the girl above. We want singers.who fill their lungs beyond tidal volume (the inhale) and expend the air in a controlled release of high minute volume (exhale.) The impression of air flow will give us song-sync. Be aware of your characters lungs. Imagine walking into the storage rooms of instruments of a symphony. One room holds percussion, another strings, another brass, etc. Imagine that the symphony gets a shipment of new instruments called vocalists (for the sake of illustration let’s consider they aren’t human beings but musical instruments that need to be stored). If we were to store them with instruments of similar type which room would they go in? Probably not the percussion room (even some might look percussive.) They don’t fit in the string section. They would be closest to either the brass or woodwinds section, right? They make noise, not by plucking or hitting or bowing, they make their sounds with air passing across a point of vibration, like a reed or lips compressed into a mouth piece, and then that vibrating sound amplified and modified as they pass through tubes. The only difference between the wind and choral sections is that the wind instruments bypass the vocal chords that the choral section uses, but they do use their lungs to make their clarinets and oboes make a sound. The point is this: The human voice is a wind instrument. The first skill any vocalist or wind instrument player learns is the skill of breathing. The control of air is crucial to singing. Try singing a song without breathing. It can’t be done. The first thing any singer or oboe player does before making one musical sound is to inhale. They fill their lungs with 4 to 6 liters of air and control the release (exhalation) of that air under pressure to produce sound. Without that air they will not be able to sing. They’ll be out of breath before the first line is sung. Dialog and singing is an act of exhalation. Think of the mouth and lips as the keys and valves on an instrument that shape the sound. The second thing they need to do is prepare for the musical breaks where they will be able to refill their spent lungs in the middle of the song. When we record vocalists and process their recordings, we often reduce or remove the breath sounds for a cleaner song. But we should not remove breathing in our animation performances. 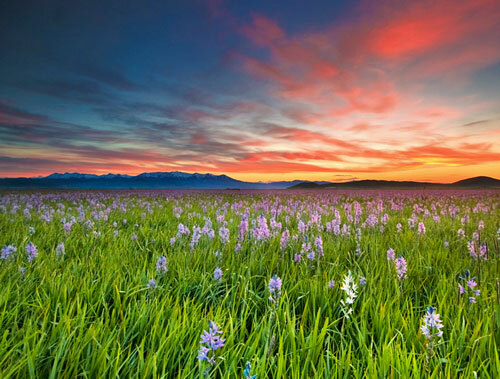 Breathing is one thing that gives a sense of life and believably. A well placed breath can be powerful. It’s sometimes a limitation in audio, but this is sometimes a limitation that we want to see in animation, even though we may not hear it. It is a necessary element in our effort at getting great song-sync into our characters. Inhale! Inhale! Inhale! How is your character breathing? If they have no flow of air they shouldn’t be making any more sound than a trumpet lying on a table. Good song-sync must not simply consider the mouth makes certain phonemes, good song-sync needs lungs filled with air. Make your characters inhale so that your beautiful mouth animation has the exhale of air to make them appear to sing.